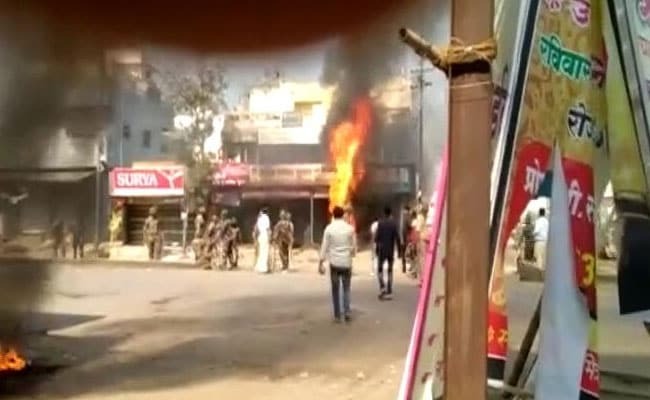 A "fact-finding" committee led by the deputy mayor of Pune has claimed the January 1 violence at Bhima-Koregaon village near here in Maharashtra was "pre- planned" and orchestrated by right-wing activists Sambhaji Bhide and Milind Ekbote. One such committee was led by Mr Dhende. Speaking about the report, he said, "Our committee members have visited the places where the violence took place. Along with the spot visits, we have also conducted interviews of the villagers and policemen. The report also has named Milind Ekbote and Sambhaji Bhide as the "main conspirators" of the violence. "Ekbote and Bhide were directly or indirectly involved in the violence. Along with them there are some policemen who did not act in time. "We have recommended strong action against all these responsible persons," Mr Dhende said. In the past, both accused have denied any role in the violence, which took place after an event called Elgar Parishad, or conclave, was organised in Pune on December 31 last year. Bhima-Koregaon occupies a central place in Scheduled Caste history it witnessed a major battle in which the Peshwa rulers were defeated on January 1, 1818, by the British army, comprising a large number of scheduled caste soldiers. Every year, the anniversary of the battle is marked by thousands of scheduled castes assembling in Pune and marching to Bhima-Koregaon to a war memorial.